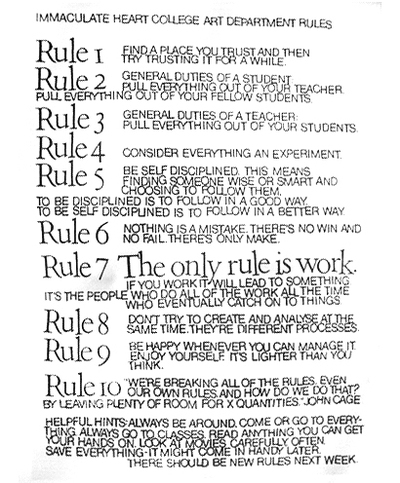 A client of mine introduced me to Sr. Corita Kent’s rules this past week. Sr. Kent (https://www.corita.org) was internationally famous for her art in the 1960’s and 70’s. Her work is now part of the permanent collection of the Hammer Museum and is part of a current exhibition at the Museum of Contemporary Art as well. She taught for many years at and eventually became the chairman of the Immaculate Heart College Art Department in LA. It is there that the rules first appeared. It was the first rule in particular that had resonated for my client. It reads as follows “Find a place you trust and then try trusting it for a while.” I took that to mean an inner place, an internal sense of peace and security that can be accessible and available when needed. This piece of wisdom had provided important support for my client during a challenging time and I became curious about the rest of Sr. Kent’s rules. So I looked them up here (https://www.corita.org/component/content/article/21-information-in-education/19-corita-kent-art-rules.html) and discovered that, although they were originally targeted towards students and teachers, the rules also held great application for navigating life after college and on into adulthood. 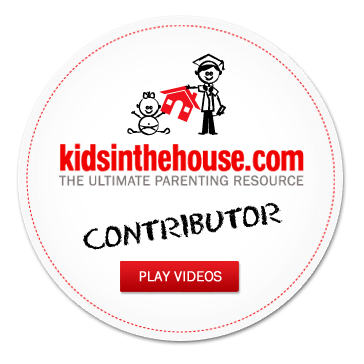 They outlined a road map of discovery and exploration that I feel is the foundation for a purpose-full, meaningful life. They speak to the importance of discipline and work but also of lightheartedness and forgiveness. Above all they advocate curiosity – that self- sustaining energy that is the essential underpinning of true vitality. And, even though the teacher/student dynamic is different than the therapist/client dynamic, they speak to an important reciprocity in relationship that relates to the therapeutic process as well. The therapy hour should be a place you trust where both the therapist and client can experiment and make new meaning offering the opportunity for a vibrant enjoyment of self. TO BE SELF DISCIPLINED IS TO FOLLOW IN A BETTER WAY. NO FAIL. THERE’S ONLY MAKE. WHO EVENTUALLY CATCH ON TO THINGS. SAME TIME. THEY’RE DIFFERENT PROCESSES. HELPFUL HINTS: ALWAYS BE AROUND. COME OR GO TO EVERY- THING. ALWAYS GO TO CLASSES. READ ANYTHING YOU CAN GET YOUR HANDS ON. LOOK AT MOVIES CAREFULLY, OFTEN. SAVE EVERYTHING IT MIGHT COME IN HANDY LATER. THERE SHOULD BE NEW RULES NEXT WEEK. 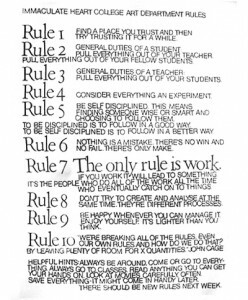 Corita Kent’s Rules & Hints for Students and Teachers. Kent, Corita & Jan Steward, Learning by Heart; Bantam Books, 1992.